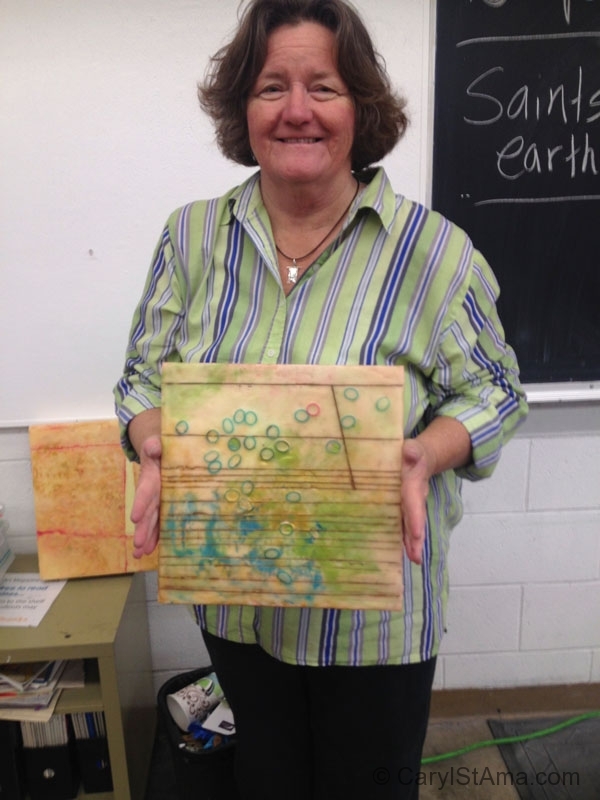 As one of six Core Instructors for R&F Handmade Paints based out of Kingston, NY, I offer not only workshops, but also visit retail establishments for demos or materials talks about the R&F product line including their Encaustic paint and Pigment sticks. 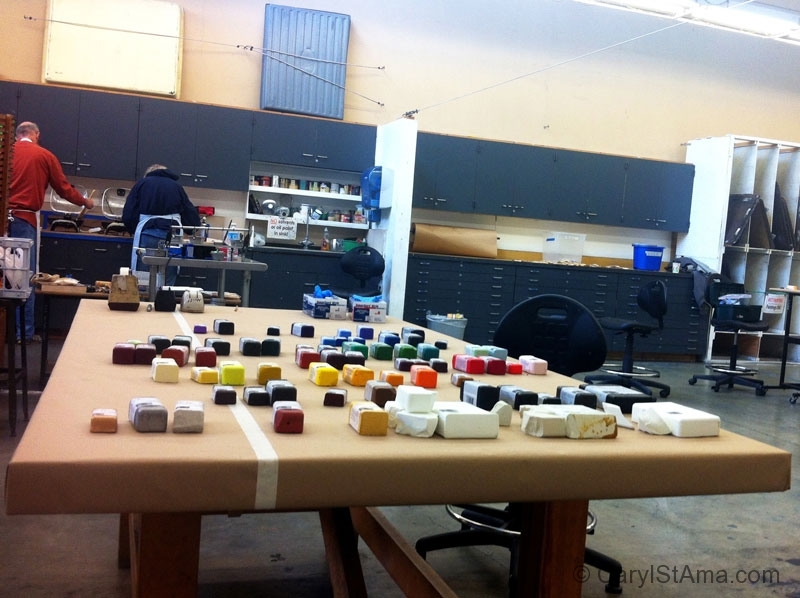 I am available for professional outreach to artists, art centers, colleges and universities to make studio visits and discuss specific technical problems and materials. 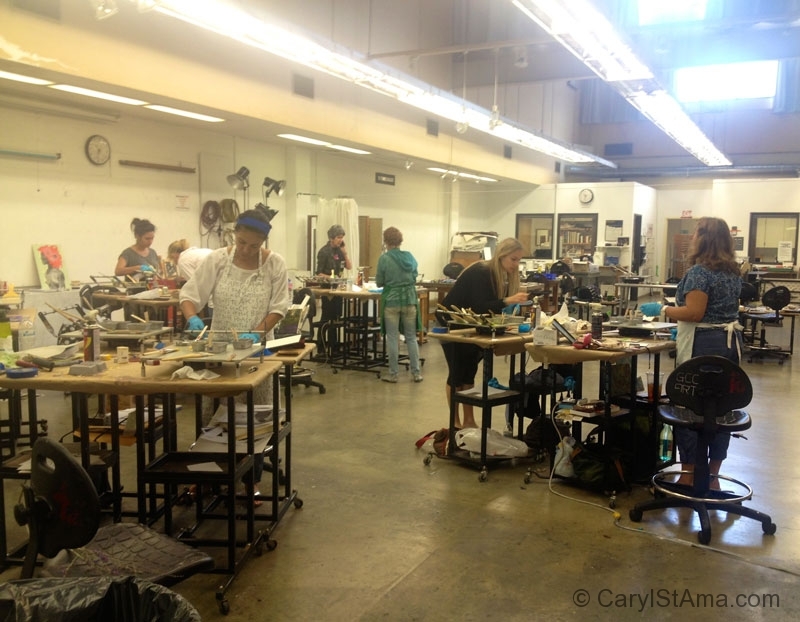 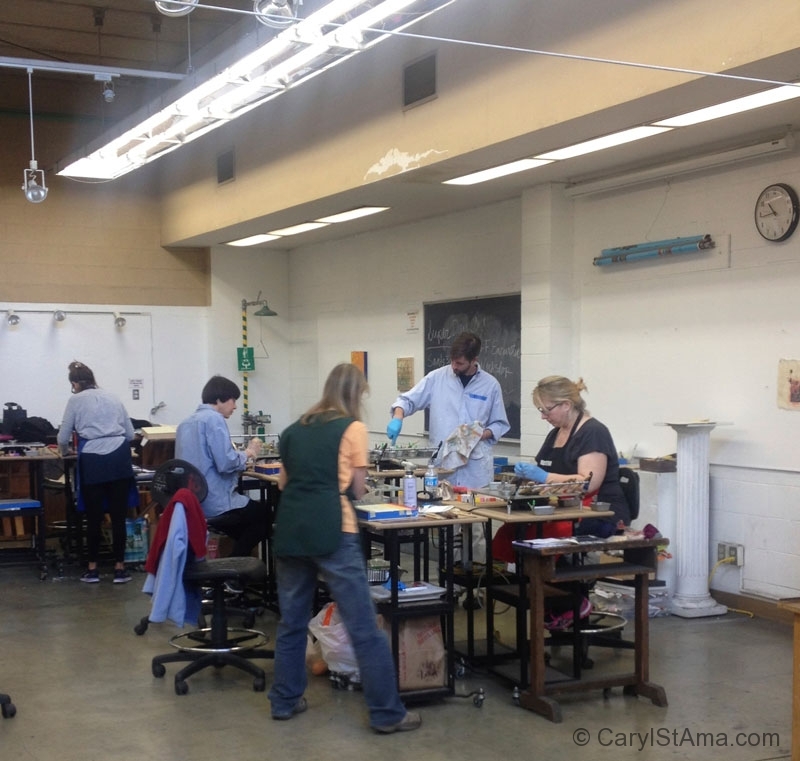 An R&F 3-day Encaustic workshop is regularly offered during the winter and summer sessions at Glendale Community College in Glendale, California 10 minutes from downtown Los Angeles. 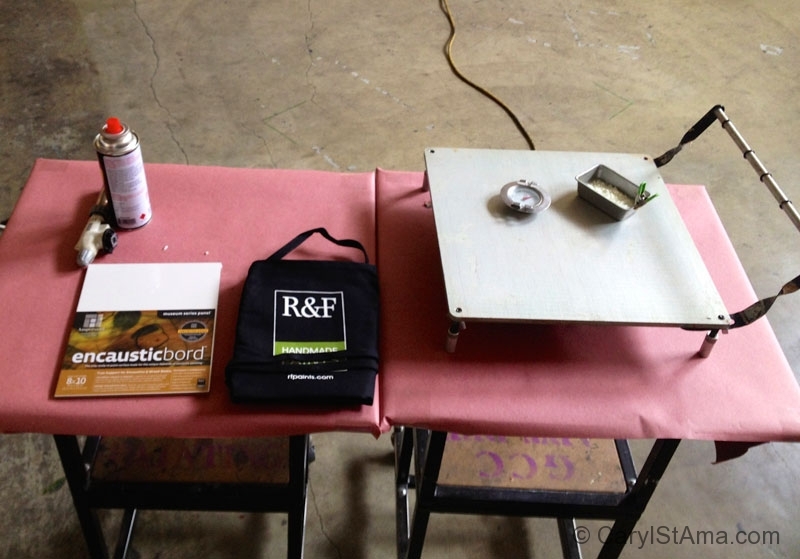 See rfpaints.com for more information or contact Caryl for information and current workshop dates. 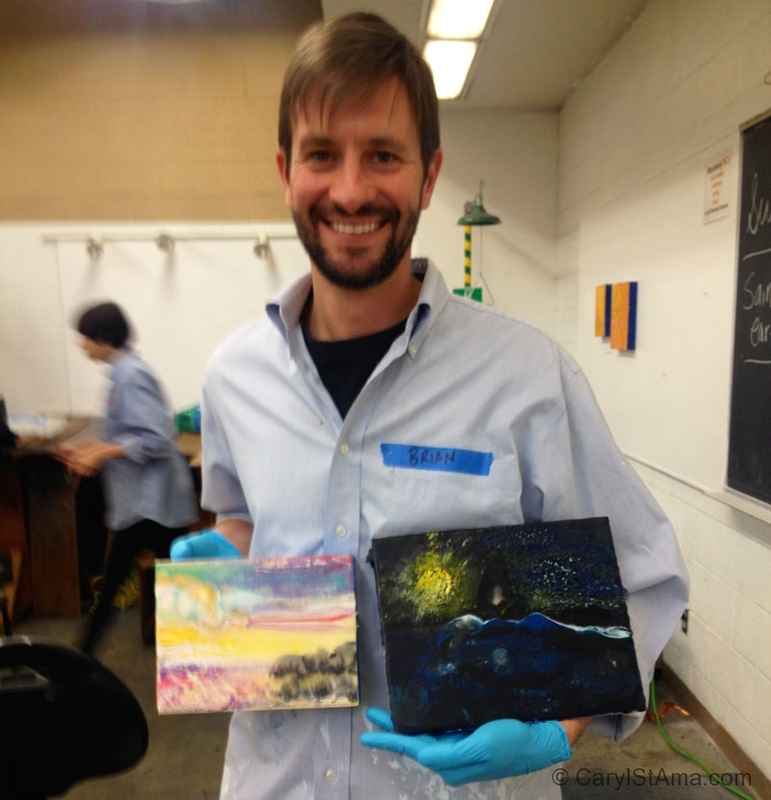 Upcoming workshops @ Glendale College in February & August each year – please see rfpaints.com for more information. 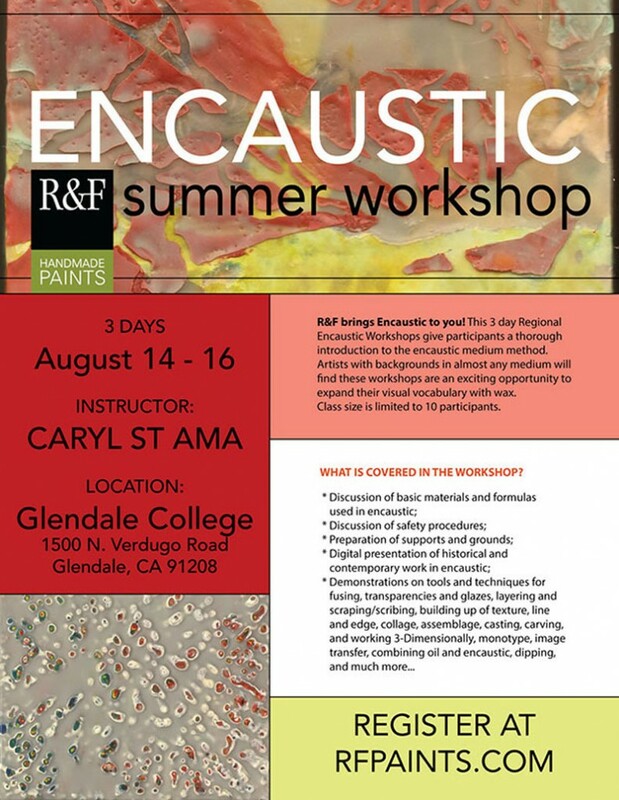 R&F Handmade Paints Comprehensive Workshops are designed to give participants thorough knowledge of the encaustic medium and method. 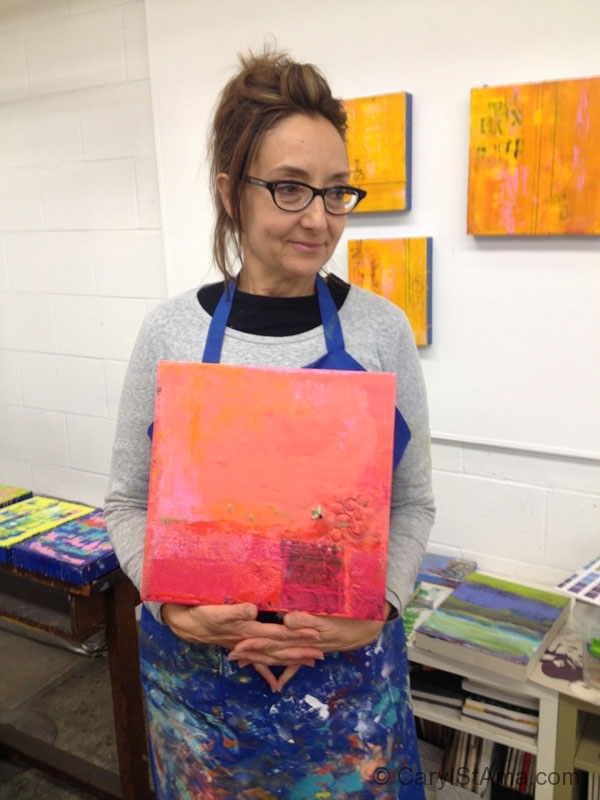 We begin with a historical overview, introducing the classical method of encaustic painting, and then move into the 21st Century, demonstrating a wide variety of ways that encaustic can be used by contemporary artists today. 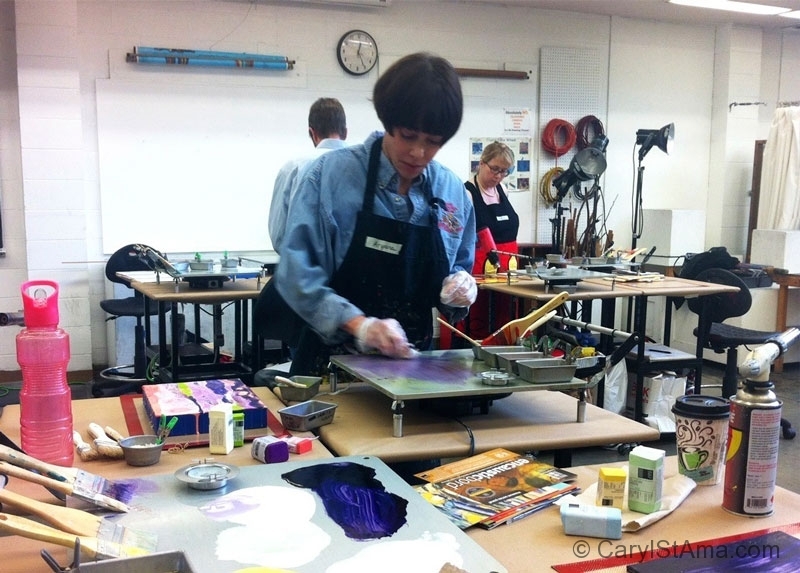 Artists working in almost any medium will find these workshops are an exciting opportunity to expand their visual vocabulary with wax. 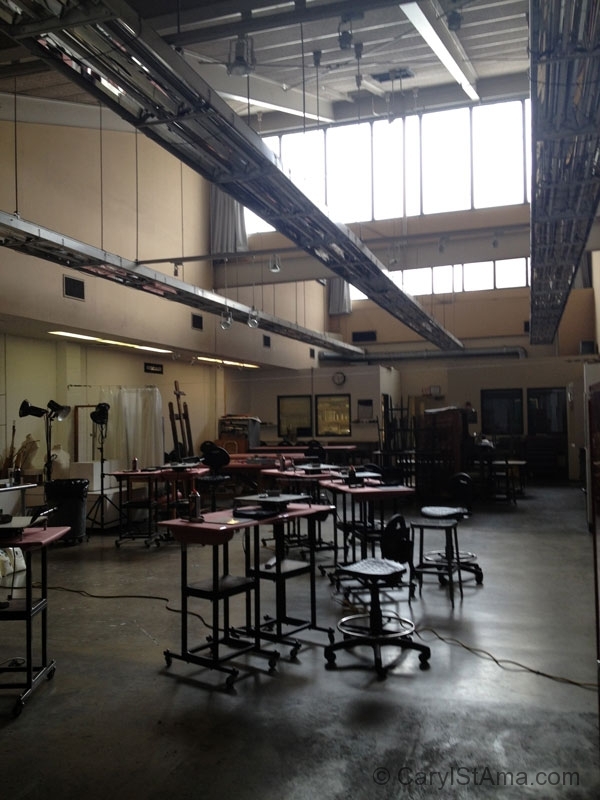 Students are encouraged to bring an open mind and a willingness to experiment with a new material.